Jammie Thomas-Rasset, the famous file-sharer who's been fighting with the RIAA for almost half a decade, has lost her latest appeal and now faces a fine of $1.5 million for sharing music online. You may recall the case of Jammie Thomas-Rasset, the mom from Minnesota who was busted by the Recording Industry Association of America for sharing music online back in 2006. The RIAA went after her for 24 of those songs and in 2007 won damages of $9250 each, totaling a hefty $222,000. Thomas appealed and got a new trial, but things got worse: She lost again and this time was ordered to pay $80,000 per song, adding up to a crazy $1.92 million fine. Earlier this year a judge declared that the verdict was "grossly excessive" and reduced it to a still-painful $54,000. The RIAA, mindful of the awkward and ugly PR surrounding the case, offered to settle for $25,000 if she would agree to ask the judge to vacate the decision, removing it from the record. She said no. So it was back to court for a third trial, which has ended with another big loss and another big fine. A Minneapolis jury has again found in favor of the RIAA, this time pasting Thomas-Rasset with a fine of $62,500 per song, ringing up to a cool $1.5 million. 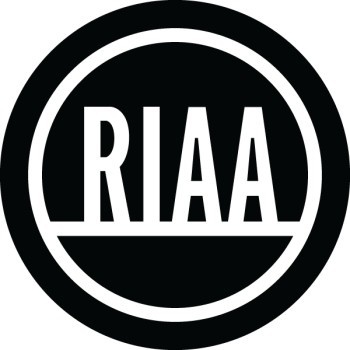 The RIAA has said the money, if it ever collects, will help fund its "ongoing education and anti-piracy programs." The odds of collecting aren't exactly great, however. The award will probably again be reduced and Thomas-Rasset said after the $1.92 million verdict in 2009 that she'd never be able to pay it anyway. "Good luck trying to get it from me," she said. "It's like squeezing blood from a turnip." But she's not yet ready to give up the fight, or to make it easy for the RIAA to step out of the spotlight of disastrous PR: Her lawyers said they're warming up for yet another appeal.